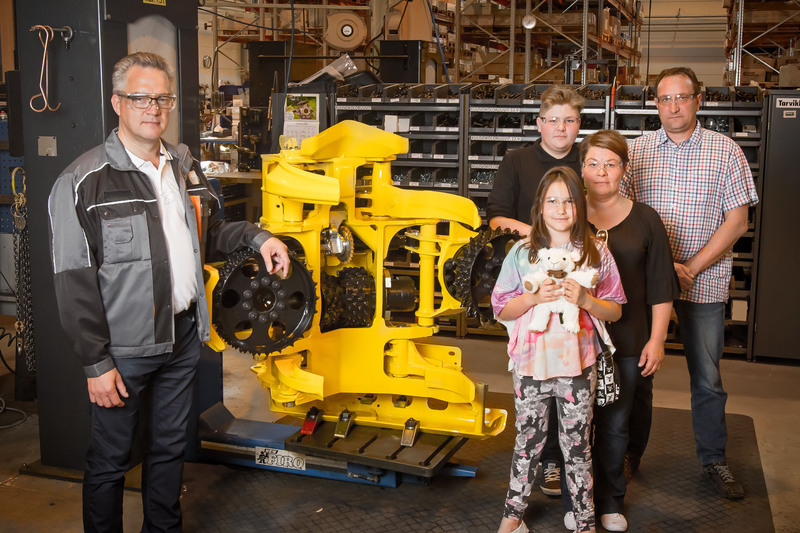 Outokummun Metalli reached a significant forestry machine milestone on Friday, the 1st of July 2016, when it completed its ten thousandth harvester head frame at its plant in Outokumpu. The product then continued on to Waratah OM Oy in Joensuu for final assembly and then headed to John Deere Forestry Oy’s forestry machine factory in Joensuu for installation in a John Deere 1270G harvester. The ten thousandth harvester head is a John Deere H414 and was sold to MH Forest Ky in Paimio, Finland. “At the moment, the forestry machine markets are booming and our order book is also strong. We currently manufacture nine different harvester head models and perform continuous development work in order to improve the efficiency and quality of our harvester head production. The positive market sentiment is reflected in a number of things, for instance, in the need for workforce,” says Outokummun Metalli’s Managing Director Jarmo Paakkunainen.